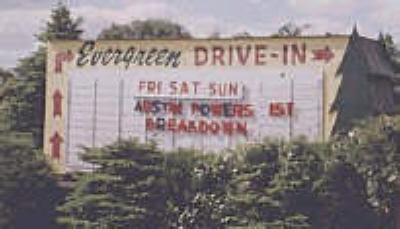 The Evergreen Drive-In originally opened on June 19, 1947 as the Ruthorn Drive-In. It was built by Donald J. Ruth, owner of Ruth Lumber and Builders Supplies of Scottdale, Pa. 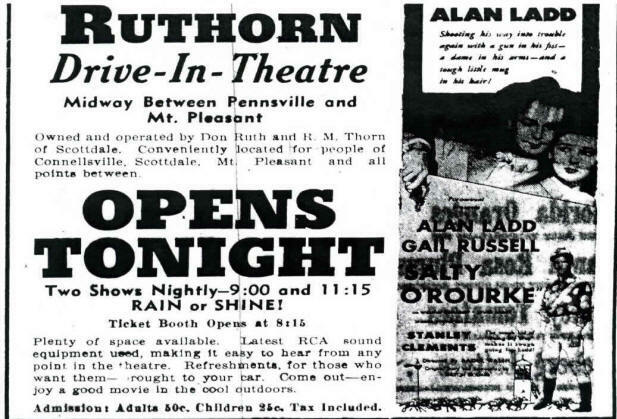 In 1961 the theatre was sold to the Michael's family of Pittsburgh, Pa. The Michael's family owned and operated the theatre until 1998. In 1999 the theatre was purchased by Warren Theatres. 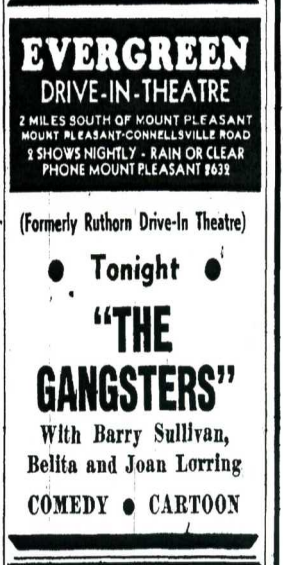 In the fall of 2001 two new screens were added and in 2002 the drive-in opened as a first run 3 screen theatre. The Warren family has been in the drive in business since 1949. Blue Dell in North Huntingdon, PA.
Super 30 in North Huntingdon, PA.